A laser cut and folded sheet steel structure creates a transient piece of furniture; one that can border a dining table, sofa, or bed. The cantilevered top allows the cart to be hung from the edge of a table, acting as temporary and easily accessible storage in live-work situations. 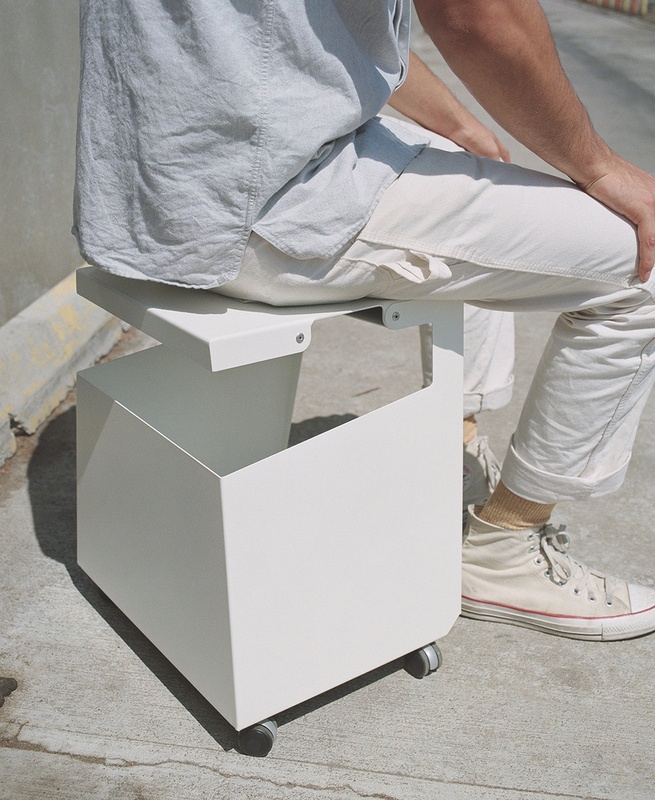 Slipping between archetypal boundaries—side table, step stool, container, file cabinet—the design asks its user to interpret its end function depending immediate needs. Smith was developed with Danese and won the Compasso d'Oro award in 2011.